I had a really amazing session with my therapist on Wednesday. It started out with her asking how I was doing, like she always does. For me, this is a great way to get things started out, to get the ball rolling. This Wednesday was no different. There were a couple things that could have answered that question, as there have been a number of things occupying my mind lately. I chose the more difficult answer to the question (we got to the other one eventually, when it felt right). It was the first time I had told anyone else in my life about this issue – it has to do with existential dread, of an obsessive nature, but is more than that. It usually comes up a few times a year (for the last 20 years), but had come up basically every day for about a week and a half before therapy, which was a bit disturbing to me. It felt so good to finally be in a space that was safe enough that I could share this deepest secret and not only not be judged, but also have someone I trust with all of my issues who could help me. We talked about it for awhile, which was not easy, but I cannot put in words how much much weight it took off my mind to have someone else know this. She gave me a plausible idea about why it had come up now, which was very reassuring. 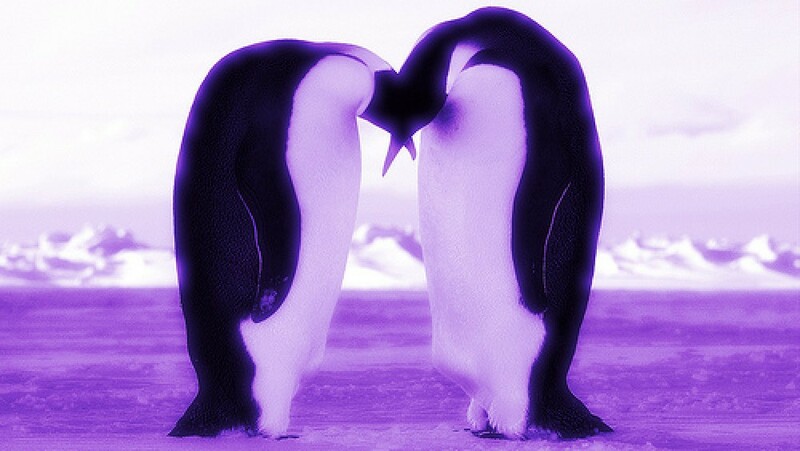 We talked about the nature of therapy – about how wonderful it is to have a therapist who you connect with on a personal level, about how weirdness is awesome, and about how truly amazing it was to me to find someone who created such a safe space that I could share something like this. She said that it was great for her to hear that. 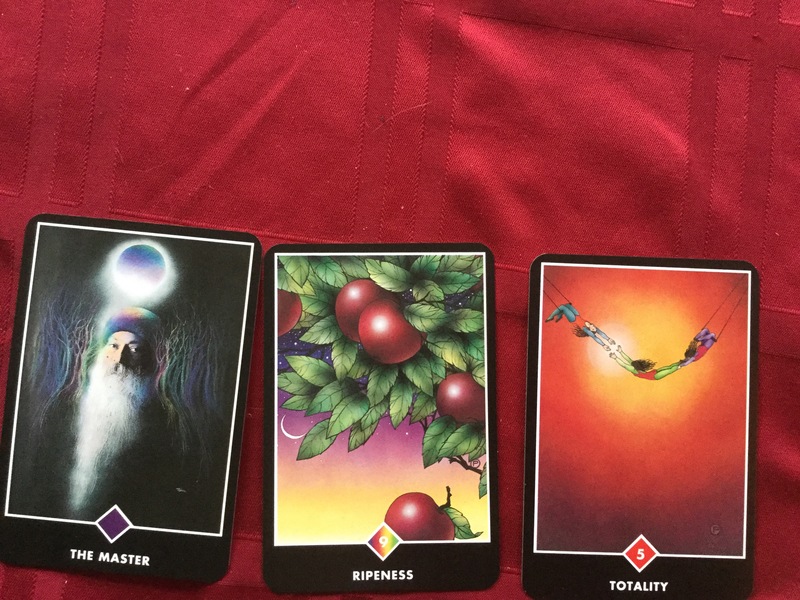 I’ve had this deck of cards for awhile and I finally came across the best chance to do my first past/present/future setup this morning – I thought about this birthday weekend with my polycule, about each one of them individually, what they bring to my life, what I value about having them in my life, and about our current relationship and the possible trajectories – then set out three stacks and drew a single card from each of them. I am actually quite glad this showed up and where it showed up. It means that it is time for me to grow myself, to grow and evolve my relationships (romantic, familial, and platonic) in amazing ways – I think this has been in the works for awhile, but I think I agree that now is the time. I think it is also awesome because I have been growing my efforts to read, write, and learn code for awhile and I like the idea of this all coming to fruition. This coming after the Present gives a great bit of caution as well as some optimism. The caution: to not try to build and grow everything in the second section all at the same time – to give myself time and space to do so with each person and not try to push things to go too far. The optimism – this feels like my meditation and yoga may be paying off in reducing my stresses in relationships with people in the future and build upon what we already have, may be helping me continuing into the future in seeking peace, within myself and with other people. So, I bought my first Tarot set the other day, from the hippie coffeehouse near my work. When I had started thinking about tarot again a few months ago, I went on a search for a deck that would match my ideas and my spirituality (trying to figure out how to tap into this – I lost my sense of it a few years back and am just starting to pick up bits and pieces). I did tons of research into various designs, the guidebooks that came with them, what other (experienced) people thought about them and just let the information percolate for more than a month, then let it sit, to see what kind of coffee it produced. Then I waited for this deck to come in. I didn’t know whether they would actually restock at the coffeehouse, but I figured that patience was in order for this sort of thing. But once day, they did restock, and I got the one I’d been waiting on: this deck. This is not my first tarot deck. My first was a gift (as I’ve heard is the correct way to do it) – a tiny pocket sized deck that my mother gave me because she didn’t want it. I used the heck out of that deck in high school – lots to think about during that period of my life. I don’t believe in the tarot as a predictive or mystical force, just a way to contemplate and process what is going on in my life. An odd sort of meditation, I suppose. 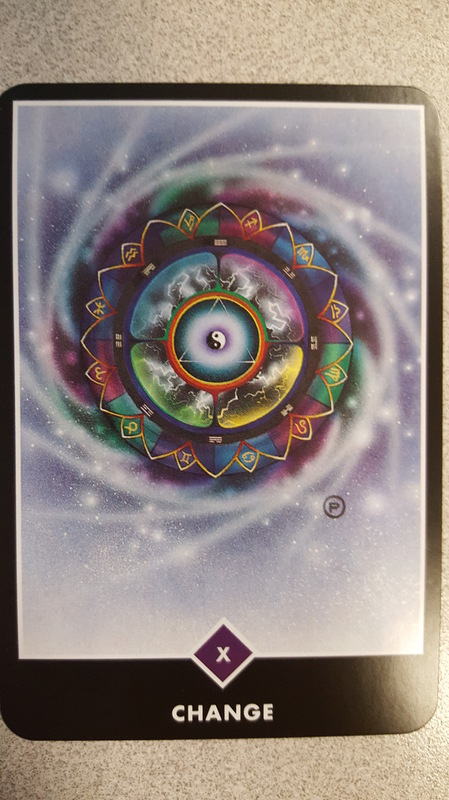 So, I plan on occasionally pulling single cards per day or doing a layout for meditative purposes, and I’m going to share what I get if I think it is relevant or intriguing. I will not be offended if people skip over those – I know it’s not everyone’s bag.